Sleepwalker a.k.a Lyubomir Yordanov started to work on the Sleepwalker project back in 2000, after years of studying music, exploring ethnic cultures and inspiring by vast journeys. With more than 250,000 listens online, Sleepwalker (at age 26) almost instantly became one of the most successful artists from Bulgaria in his genre. Like proud member of ASCAP (American Society of Composers, Authors & Publishers), Sleepwalker released 3 albums since 2004 - вЂњFlower Of Life - 2004вЂќ, вЂњA Tear For Kursk - 2005вЂќ, вЂњAmenti - 2006вЂќ. 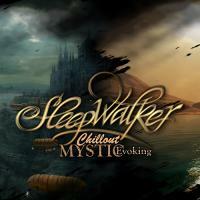 The music of Sleepwalker combines in a fascinating way different genres as New Age, Chill-out, Lounge, World and Ambient, mixed with folklore motives from all over the planet, symphonic parts and Soundtrack themes. The conception centre on ancient civilizations, wondered and sacred places, epic antique cities, fascinate tales, lyrics of Arabian, Portuguese, French and Italian, interlaced with Tibetan, African and Native American dialects and Bulgarian chants. For reaching such rich and vary sound picture, Sleepwalker use the combination of new modern computer technologies with multiple instruments as guitars, violin, synthesizers, Native American flutes, African and Indonesian percussions, mandolin, oud, saz and Armenian pipe. Sleepwalker works with different musicians, like each one of them blend and color the music with own style.